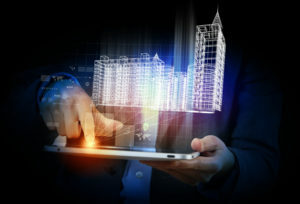 Want to turn your property into an intelligent building? The need of building management systems very essential. Advantages of Building Management Systems. Have you discovered all the great advantages of building automation systems? If you are a business owner, you will be pleased to learn how a smart building system can save you money on operating costs while protecting your property, buildings and assets. Advanced Control Corporation has been assisting Florida businesses for decades in becoming more energy efficient and environmentally responsible. We are an industry leader in designing and creating intelligent building systems from the ground up, or integrating one into your existing system. Now you too can reap all the advantages of building management systems. Your smart building system will provide access and control of every area and process of your building infrastructure. We offer a wide array of comprehensive services that include cost-effective energy management systems, intelligent building systems integration, access control, CCTV surveillance systems and much more. We offer many services including the design and installation of energy conservation systems, building management systems, and maintenance and support services, to keep every facet of your business operation running smoothly, sustainable and cost-effectively.